UPDATE: We just received confirmation from CD Project Red graphical department, that the PS4 version is actually using the “vanilla” version of this hair effect, which is the same as on the PC version, when we switch NVidia HairWorks off. About NVidia Gameworks: game developers receive optimized effects, that would run great on NVidia graphics cards: shadows, lighting and even hair are affected by this. However, originally, NVidia blocked developers to optimize their games for rival platforms (AMD and Intel graphics chips! ), and also, they had the ability to also block the devs from source code, which would be essential to run those games! Some developers, like EA’s Frostbite engine technical director Johan Andersson, have said that GameWorks is nothng else than a „useless black box”. Because of the backlash, NVidia had to change their policy, so devs can access the source codes… but AMD optimalization is still seemingly blocked! How is The Witcher 3 related to all this? Simple: this was confirmed the other day by CD Projekt RED! But AMD (this is their response to NVidia’s HairWorks) has optimized their effects so good that both sides can enjoy the effects without any issues… while also giving away the source code for absolutely free. But, according to CDPR, NVidia’s HairWorks system simply cannot be optimized for AMD GPUs – this system is responsible for real effects like hair and fur on a horse, so these wouldn’t look like just an ugly texture. NVidia have responsed with a simple answer though: GameWorks is for GeForce systems, and it would not impair performance on rival hardware, and the devs request the source code, becuase they want to deflect their own performance issues, so NVidia would take the blame…. But what is this all good for? Can’t NVidia simply follow the AMD route, giving away things for free, just so games can look much better? 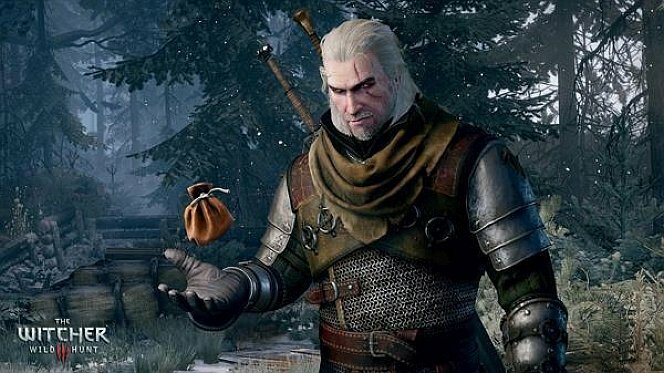 We ask this, because Geralt’s final adventure is… very good, really. Take a look at the horse at 2:35, see the difference?